A freak wave, a bloody swordsman, a Lebanese coach, a plague of locusts, a number eight who refuses to select a number eight, gold rushes, a judge named de Villiers, and Victorian axe men. All of it true, or as true as we can guess, and part of the seamless web of Australian rugby. Brew a cup, take a seat, and read a tale of blood, gold, rugby, ambition and the silent sea. A 500-foot steamship, the SS Waratah, was built and launched in 1908 in Glasgow. ‘Waratah’ is a good name for a flower and a rugby team, but apparently a terrible name for a ship. In 1848, 1887, and 1897, ships named ‘Waratah’ sank in deep waters. But just as the Titanic (being built as the SS Waratah was launched) the SS Waratah was considered unsinkable. Three ships in one: a luxury liner with a hundred first class cabins, eight staterooms, a state-of-the-art desalination distillery on deck; her music lounge decorated with crimson waratahs. She was a cargo ship too, but her holds had a dual purpose: bring hundreds of emigrating British and Irish in adapted ‘dormitories’ to Australia, and return with foodstuffs in those same holds. The ship was expensive, but underinsured and carried no radio. Still, the captain had sailed for 40 years in blue waters without loss. ‘Waratah’ is a good name for a flower and a rugby team, but apparently a terrible name for a ship. In 1848, 1887, and 1897, ships named ‘Waratah’ sank in deep waters. On its second voyage, in 1909, everything went smoothly for 222 passengers starting a new life Down Under. The passage from London to Cape Town, then to Sydney, was uneventful. After Sydney, the SS Waratah took on more passengers at each Australian port. Oats, tallow, butter, flour and meat (including 8,000 crates of rabbit carcasses) gradually filled the hold. Temporary Australian capital, Melbourne, welcomed the palatial steamship in style. Two brawny young Tasmanians joined the ship, bound for London by way of Durban and Cape Town. Size fourteen-booted Alf Clarke and six foot five Jack Calder were champion axe men. Clarke and Calder were to compete at the World Championships hosted by Crystal Palace. A gold rush will usually generate skilled axe men. In 1851, gold was discovered in Victoria, leading to a doubling of Melbourne’s population in one year. The boom in ‘Marvellous Melbourne’ lasted four decades, but by 1909, the economy was in the doldrums. Almost as many Victorians were returning to the British Isles as were arriving. When the SS Waratah embarked on the return journey with stops in Adelaide, Durban and Cape Town planned, she was carrying over two hundred passengers and crew, mostly Australian. 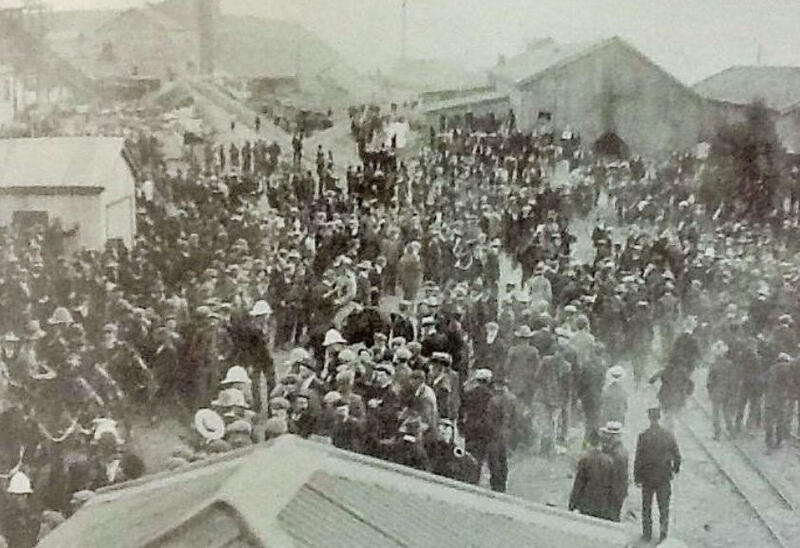 The ship left Adelaide on July 7, 1909, docking at Durban 18 days later. Thanks to light winds, most passengers enjoyed the trip. However, English engineer Claude Sawyer did not. Sawyer dreamed every night of a blood-stained swordsman in strange garb. The swordsman rose from the sea before disappearing beneath towering waves. Sawyer interpreted the nightmares as a premonition and left the ship in Durban, despite having paid his passage through to London. Embarrassed by his actual reason, he cabled his wife: ‘Thought Waratah top-heavy’ and kept his dreams to himself. He was the only passenger who abandoned ship. A week later Sawyer resumed his journey. The SS Waratah did have a long ‘roll.’ Shipbuilders of the day preferred to make their crafts top heavy, in need of ballast, because this configuration felt smoother to those on board. The disadvantage was that it took longer for a top-heavy ship to right itself after leaning into a swell. A more stable boat would feel rougher. The ship was never seen again. 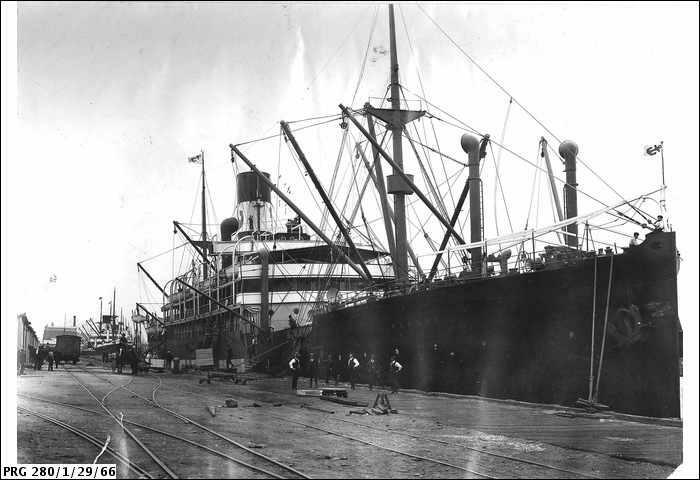 The SS Waratah disappeared without a trace between Durban and Cape Town. The much slower Clan MacIntyre reached Cape Town undamaged after weathering a severe storm, with 30-foot waves and a 50-knot wind south-west of Durban. Given the ship carried a year’s provisions, and absent debris, there were no immediate fears for her safety. However, by mid-August, the Royal Navy deployed two cruisers. Heavy seas prevented a thorough survey of the projected route. Australian Parliament was adjourned for updates. The Blue Anchor Line conducted a systematic hunt for 88 days. But he who remembers the tales passing from lips to lips in the world of great waters, tales of ships lost and found again, all these tales belonging to the tradition of the wonders of the sea, will never say die. Never. At first in hope, afterwards perhaps because man’s grave silence is the only dignified answer upon the cruel mysteries of the sea. Further encouragement to search the seas came from 21 survivors of the SS Maori, which sank off Llandudno, on the Cape Peninsula, in early August of 1909, a week after the SS Waratah disappeared. Off the coast of Hout Bay is one of the globe’s most recognised big wave spots: ‘Dungeons.’ Swells routinely reach 50 feet, but one of the reefs holds a 100-foot wave. Ships have to avoid this death trap. Despite the frigid temperatures, the granite-protected ruins of the SS Maori remain a popular scuba dive for Capetonians, Jacques Cousteau’s favourite wreck to explore. In 1909, Llandudno’s coast was remote and is still buffeted by enormous rollers; it’s a wonder that only thirty-two mariners were lost there. For all these reasons, Australian relatives refused to give up the search easily. In February of 1910, a public subscription funded a three-month search by the SS Wakefield, but no trace of debris was found. In December 1910, an inquiry into the missing ship opened in London; no-one had been declared dead, officially. While most of the passengers from the maiden voyage testified the ship handled perfectly well, ex-crew members confirmed she was unusually slow to recover from rolls. A seaman testified he left the ship in Sydney because the Chief Officer was ‘afraid of the vessel’s instability, and frequently predicted that she would yet prove somebody’s coffin.’ Sawyer spoke too, but when he revealed his bloody swordsman dreams, the court laughed. The court of inquiry concluded that the ship capsized during a storm of exceptional violence, sinking so quickly that any debris was trapped below the wreck. Freak waves are not uncommon off the Wild Coast. 20-metre waves are often seen between Richards Bay and Cape Agulhas, the “tip” of Africa, where the countervailing currents of the warm Indian and cold Atlantic oceans collide. Cape Town is not called the ‘Cape of Storms’ without reason. No matter what the reason (and many have speculated about an explosion, or a shift of the 1,000 tons of lead concentrate on board, or a paranormal calamity), the over-leveraged Blue Anchor Line went into liquidation in 1910 because of the loss. Perhaps all tales of life preservers with SS Waratah printed on them being washed up in New Zealand in February of 1912 are hoaxes. But something about this lost ship inspired many a futile search, as recently as 1999 and 2004. Not all of the lost were from Australia and England. In Durban, a Lebanese Maronite priest, Emmanuel El-Fadle, came on board, essentially taking the engineer Sawyer’s place. El-Fadle had been the first Maronite priest to set foot in South Africa. He arrived in Johannesburg at Christmas in 1905, just a few years after the Boer War ended, and established the Maronite Church in South Africa. The Maronites – along with fortune-hunters of every tribe – came to Transvaal during the great gold rush on the Witwatersrand, from the 1880s. Lucky and tough Lebanese adventurer Elias Mansour Eid struck it big for almost ten years, fought off a number of attempts on his life and property, and returned to Lebanon with demonstrable wealth, causing hundreds of other Maronites to move to the Jo’burg area. Michael Cheika is not just Lebanese-Australian; he’s a Maronite. There are only about three million Maronites in the world, and more of them left Lebanon than stayed. South Africa, Argentina, and Australia house three of the largest Maronite expatriate communities, with Australia having at least 200,000 self-identified Lebanese immigrants (mostly Christian Maronite and many located in Western Sydney); Cheika has found a way to be in all three Maronite-SANZAR spots every year, at no cost. If Cheika needs a patron saint, perhaps he should choose the first Maronite miner of Jo’burg, Elias Mansour Eid, instead of Father El-Fadle. – ‘Syrians’, as he was labelled, were considered non-white and therefore could not own land. – There was little law or police to protect you from 1886 through the Boer War. – The ‘police’ in the ZAR (Zuid Afrikaanse Republiek) did not protect someone like Mr Eid. – He had to pay thousands of pounds for his little plot of illegal land. – The Boer War was brewing. – Fuel and water shortages for two years at a time. – No sewage for five years. – Food shortages from 1888 to 1890. – No postage mail until 1890. – The use of cyanide to extract gold without protection or a hospital. – Freak snowfall, smallpox, and a swarm of locusts in 1891. But Mr. Eid persisted in his quest, hung in there, and soon enough there was a train line from Cape Town to Jo’burg in 1892 to connect him with civilisation. It was probably the second locust plague and the Great Dynamite Explosion of 1896 that drove Mr. Eid back to the Levant, and with his great wealth, persuade other Maronites to trek south to the land of gold. Even if Mr. Eid had included all the bad news about life in Jo’burg on the eve of the Boer War, it might have sounded like a better option for many Maronites in Lebanon. Massacred by Syriacs, Byzantines, Druze, and Ottomans, but resisting total conquest long enough to win concessions from the majority, all but two Lebanese presidents have been Maronite. No pacifists, Maronites have committed their own atrocities, and while they seek peace, they are ready to fight. For obvious reasons, Maronites have migrated, and after they numbered thousands in Jo’burg, the Patriarch sent Father El-Fadle, a man fluent in Arabic, French, Italian and Latin, to the wild and lawless Johannesburg Maronite community. They should have sent a man who spoke Dutch. 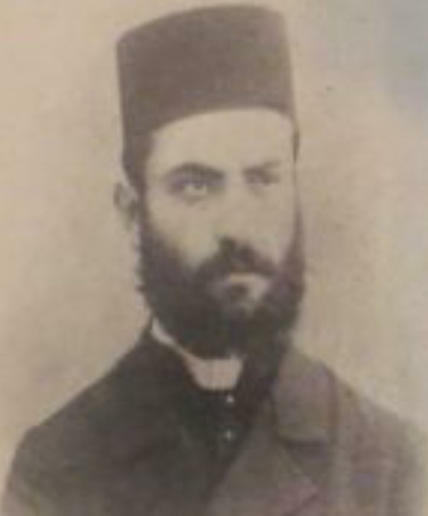 During the four years before he boarded the SS Waratah, Father El-Fadle became obsessed with changing the status of Lebanese immigrants from ‘non-white’ to ‘white.’ His first act was to petition Transvaal to reclassify Lebanese people, presenting a lengthy argument in French explaining the role played by the Phoenicians in the development of Western civilisation. El-Fadle’s petition fell on ‘deaf ears’ because it was in French. Disillusioned, he decided to return to Lebanon via London, on the SS Waratah. But four years after his disappearance, the Maronites won the case he built. Nowadays, they may be reconsidering this ‘victory,’ as transformation privileges the non-white in the law of the new South Africa. Until Judge de Villiers handed down his opinion, Lebanese in South Africa were known as ‘Syrians’ or ‘Turkos’ because of the Mount Lebanon region, where Maronites come from, was part of the Ottoman Empire and administratively attached to the Sunjuk of Syria. Thus, Maronites carried Ottoman-Turkish identification papers. The authorities in Jo’burg listed Lebanese as a ‘Native Race of Asia.’ This prevented ownership of land. A Maronite businessman, Nassey Simaan, attended the court proceedings. He reported Mr. McIntyre asked the white-wigged, robed judges and lawyers if they believed that Christ was white. Then, Mr. McIntyre pointed to the Lebanese Maronites in the courtroom and correctly noted they were Christ’s people, and still spoke Aramaic, the language Christ spoke. Judge de Villiers pondered the meaning of ‘inboorling,’ the Dutch word for native, and the likely intention of the Legislature, whom he imagined “would have been horrified at the idea of confining white men, even if they come from Asia Minor,” and ruled that Lebanese Christians, at least, were white. In 1923, a Maronite family named the Chamis won a case in Pretoria to admit their children into ‘white’ schools, pointing out that Maronites were members of Parliament in the Commonwealth of Australia. Today, two sizeable Maronite Churches exist in Jo’burg, as well as a large private school. When Cheika attempts to retain the Rugby Championship this year, he will be only an hour from Our Lady of Lebanon Church or the newer Our Lady of the Cedars. Cheika has had a tough innings in 2016. His family may counsel him to go to Maronite church while he’s in Pretoria. The Maronite faith is monastic in nature; asceticism is a way of life for the priest. Cheika has been comfortable his entire career as a coach being the ‘outsider,’ and doing it his own way. But St. Maron’s prayer could provide some comfort to Cheika if he arrives in Pretoria having lost all four Rugby Championship matches, which would bring him to seven defeats in a row: the prayer speaks of perseverance, hermits, settling of shakiness, tension unwound, and inner strength. A Wallaby prayer? Michael Cheika’s late father, Joe, moved to Australia in 1950 as a 20-year-old with only the shirt on his back and about ten dollars. When he arrived in Australia, the Lebanese community was only a few thousand strong. He had left his ancestral home, Ehden, a small mountain town in northern Lebanon. He was probably wise to do so. Almost 30 years after Joe left, on June 13, 1978, over 140 Maronites were massacred at Ehden in a clash of Maronite clans. It took Joe seven days to fly to Australia. When he landed in Sydney, his only contact was a Lebanese fruit shop owner. Joe worked for the railways, and then a sewing machine company. In 1960, a girl arrived from his village back home bearing a letter from Joe’s mother, saying this girl would make a very good wife. She did. Therese came to Australia for a holiday, but stayed for life, and raised three children with Joe: Paul, Carol and Michael, in Coogee, a beachside suburb in Sydney’s east, which is not a hotbed of rugby union talent. In the end, Joe owned a trading company, was honoured with an MBE for services to the Lebanese community, and named Lebanese Australian of the Year. A saintly prayer may seem odd for a worldly tough guy like Cheika, who talks about how his hard play in the Eighties would be considered ‘dirty’ now. A man who made a pile of cash being Aussie fashionista Collette Dinnigan’s fixer and manager, before launching his own brand, to distribute an American label exclusively into Australia. Being a garment industry boss is no picnic. He is no priest. In yet another SANZAAR coincidence, Dinnigan is South African, born in Durban, lived on a yacht in her early life, and ‘moved’ (or technically, sailed the very same route as the SS Waratah) at age eight to Wellington, New Zealand after a rather haphazard voyage by her dad around Australia, back when emigration could be accomplished much easier than now. When Eddie Jones whitewashed him 3-0, even winning the sledging war in a landslide against a normally bullying Cheika, the Wallaby coach mused to the media he has never been ‘popular’ or ‘well-liked’ even though the questions seemed unrelated to that rather personal topic. Why would the only coach ever to have won major club trophies in both hemispheres, the Heineken Cup (Leinster, 2009) and the Super Rugby (Waratahs, 2014), and the 2015 International Coach of the Year, even think about ‘persecution’ or a lack of affection? Cheika started out with rugby league at Marcellin College; it was his older brother Paul who introduced him to rugby union at Randwick Rugby Club in 1985. Marcellin College is a small Catholic high school in a tiny space in the midst of a shopping district, without a rugby field. The school focused on league; it’s only a couple of kilometres from Randwick, but in a figurative sense, it is many more miles away. Randwick rugby in the 1980s and 1990s had a huge local reputation given its incredible record at that time. Boys who were driven to seek excellence and success were drawn to its player ranks. I always felt I got judged a little harder. I was probably seeing things through my eyes that maybe most people were seeing something different. It was also seen to be fun to play for, which added to its allure. The players came from public and private schools alike, from the surrounding suburbs and from the country. They bought into the Randwick ethos of flat line attack and running with the ball, developing excellent skills and an instinct for the counter-attack that flattened many opponents. Cheika went on to play almost 300 games for Randwick and thinks he came close to higher honours, after being named to the Australian Under 21 team in 1988. The book on him was that he was powerful and energetic, but not polished or skilled with the ball or at the set piece. None of the books from that era published by coaches and commentators in the know mention Cheika. Inside those words is obvious regret; and a foreshadowing of his new rule for overseas players to return. In 1989 he went to Castres. He perfected his French, which is still in very good shape. When he went to Livorno, he picked up Italian. He grew up speaking Arabic and is now learning Portuguese to converse with relatives in Brazil. Cheika can handle many languages and various simultaneous roles. He coached the Waratahs and the Wallabies at the same time, famously, and was a fashion impresario while coaching in Europe. He wants players to be like him: fast learners, tough to the point of crazy, and never really feeling safe. One gets the feeling Cheika would still like to play for the Wallabies, and refuses to name a true No. 8 symbolically, to allow him to dream of running on, for just the right moment. Cheika was not the first Lebanese Australian to come from Coogee and make it at Randwick though. Sir Nick Shehadie paved the way. 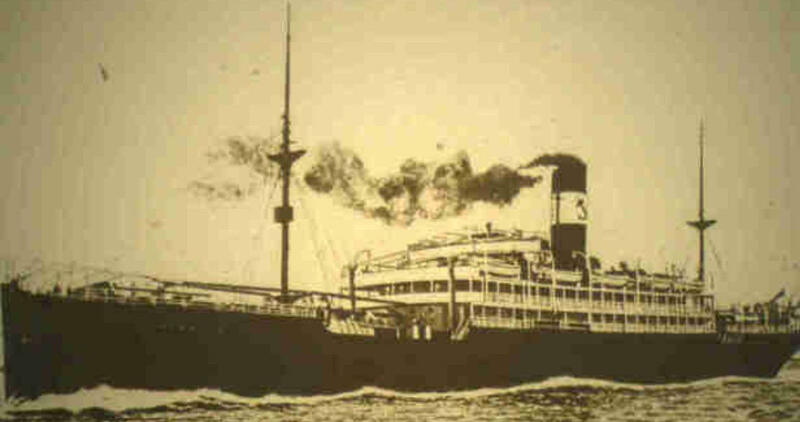 The year after the SS Waratah disappeared, in 1910, a man named Nicholas Shehadie (Sir Nick’s grandfather) migrated to Australia from Lebanon. He was actually supposed to go to New York but was defrauded by an unscrupulous ticket agent. His son, Michael, joined his father after the first World War in Sydney. Sir Nick was born in Coogee in 1926. As a teenager, he joined the Coogee Surf Club, and in those days, surfers tended to play rugby, and rugby players surfed. One thing led to another and Sir Nick was capped at age fifteen as a Randwick tight forward. At age 16, he was playing for New South Wales. He played 175 games for Randwick, 37 caps for NSW, and 30 as a Wallaby. He captained Australia in one Test. After building a successful vinyl tile business, he stood as an alderman in Sydney in 1962, and then was chosen as Lord Mayor in 1973. He was in office when the Opera House opened. His wife, Dame Marie Bashir, also Lebanese by origin, was governor of NSW. After being Chairman of NSWRU, he became President of the ARU from 1980 to 1987. He was a leader in outlawing the ‘hit’ in schoolboy scrum engagements. From 1983 until 1987, he was a key man overcoming Home Union opposition to a Rugby World Cup. He retired when the first Cup was won. He also had to solve the emergency, at that first tournament, of the absence of an actual trophy as the competition began. A week before it started, Sir Nick had to authorise a £6,000 purchase of a trophy, any trophy. Australian rugby is well-served by these tough, smart men from Lebanon. It took tens of thousands of years for humans to migrate en masse to Australia, and after the land bridge was gone, it took a sentence from a court, or a wrong turn on the seas, or even a dream. There’s never a time when rugby is a comfortable and dominant power in Australia. Having immigrants from some of the rougher neighbourhoods in the world is a bonus. Michael Cheika is just one of many, as Aussie as it gets, but imbued with strength from those long gone, from the dead, from the aged, from the deep, from those in peril on the sea. He didn’t lose his job after the disastrous series against former Randwick teammate Eddie Jones and his tough, Cheika-like English squad, but Cheika is staring at disaster if he cannot right the ship. A winless, or five-loss, Rugby Championship might be the perfect storm that ends his dream. On one occasion, between Cape Town and Adelaide… Captain Ilbery and I were conversing after lunch in the dining saloon, when the vessel lurched in the way I have described, and heeled well over. The piano in the dining saloon commenced to move on its castors, and, so far as I remember, went about half-way across the dining saloon before the ship recovered herself sufficiently to prevent its proceeding further. I recollect the captain saying to me, “There goes my piano,” and rushing off to stop it. I don’t like her at all. Between ourselves, I think she has a deck too many… I intend to get out of her as soon as I get a chance. She was what I termed a “dead” ship. When she rolled she gave me the feeling at the end of the roll that she wouldn’t recover. She recovered slowly from each roll and hung for a while at the end of the roll. … She rolled the same way throughout the voyage. What can we make of these priests and sailors, wrecks and migrations, fashionistas and gold mines? What does it mean about Cheika’s coaching career? Do we actually have the correct theory of why the English sank the Wallabies in all three Tests in June? Going forward, do the Wallabies have the ballast to stand, shift and roll with the giant waves that are coming, and what or who is the centre of gravity of this Wallaby team? Cheika wants to go to sea with a light vessel full of fight, without much to slow it down. He’s a survivor from a long line of survivors; can he escape the fate of the SS Waratah? It’s not hard to imagine the stubbornness, the fatalism, the bravado, the immigrant’s almost-blind desire to fit in, the marketing sensibility, and the high threshold for pain that is contained in that Cheika proclamation. To run the ball, to carry the ball into heavy traffic, to move and hit and move again; these are instincts that animated the priest to move from the oldest cities on earth in the Levant, to a Gold Rush nightmare, that caused the cruise line to send the SS Waratah into the gigantic waves at the tip of Africa, that caused Cheika’s father to move to Australia with almost nothing, that launched a fashion line, a Super Rugby title run, and just might be his end, too. He’s going into a competition without two big axe men in the second row, up against Brodie Retallick, Sam Whitelock, Lood de Jager, Eben Etzebeth and Tomas Lavanini; and still, no true No. 8 to anchor his vessel, and at the back, a fullback without much of a boot. As much as Cheika flees the rules of rugby, he will find himself confronted by the waves and vicissitudes of the code of the sport he’s chosen to follow. Where will he run, next? Harry is an intrepid traveller, and die-hard rugby fan who’ll travel to all corners to witness the game they play in heaven. He might be a Springboks supporter, but don’t hold it against him. Image credit: Wallabies photos are Copyright Tim Anger, Australian rugby photographer and possessor of a mighty beard.